Why are Mexicans so happy? Quiz question: which country is happier, the United States or Mexico? Based on what you read about wealth, migration and violence, you’d probably guess that the US outranks Mexico. This is not the case. In the World Happiness Report, Mexico scores a 7.088, just above 7.082 for the US. In other polls, Mexicans often score around 8 out of 10. What explains their happiness level? The last two weeks I wrote about my main takeaways from the Well-being and Development Forum in Guadalajara that I attended, and about my own presentation. Today, I want to face a question that was the biggest one of the conference (and the title of one of the final panels): why are Mexicans so happy? Data presented by some of the researchers illustrated that happiness in Mexico is surprisingly high: around eight points on a scale of ten. 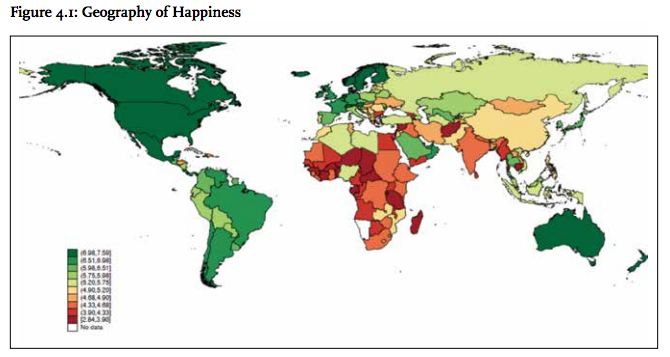 As everywhere, different factors contribute to (un)happiness. Professor Rene Millan Mon had measured performance on six factors to explain happiness. Of these, having the freedom to make own choices, a person’s health, and family relations, explained the largest part of happiness levels. Other factors – habitat, education and government – have a lower impact. What was also remarkable to see is that Guadalajara, Mexico’s second city and the place of the conference, scored comparatively low. In a study of Imagina Mexico, it ranks as 70th out of 100 cities. It has good scores for spirituality and family, but a lot lower ones for economy, free time and friendship. And within the state of Jalisco, all more rural regions have higher happiness levels than this city of five million. Why is that? In the end, it shows we don’t have the full answer about Mexico’s happiness. The World Happiness Report distinguishes six elements that are thought to be determinative for happiness. These six – economic, health, social support, personal freedom, generosity, and perception of corruption – only explain about four points out of the 7.088. If we assume that measurements of happiness are scientifically sound and that the number really grasps how Mexicans feel, we simply don’t know what makes Mexicans so happy. But this outperformance is not only visible in Mexico, but also in other countries in Latin America. I use to refer to it as the ‘Latin American happiness bonus’. Apparently there is something in Latin American culture that makes them happier than you would expect based on objective factors. When asked, Mexicans themselves seem to think that strong social ties are one of the factor. Indeed, many people live a very active public life. The streets are full with people, and family ties are tight. But the question is whether this has emerged out of his own, or as an alternative structure to counter the negative effects of low public trust and a low quality of social security. The ‘fiesta’ culture could be another explanation. For instance, the quinceneria parties are a reason for a huge party, but also mark a key step or ‘accomplishment’ in life. But social support is one of the factors studied in the report, and one that has the strongest relation with happiness as far as the data indicate! It might be that we still undervalue its significance in the data, but in the end, we don’t have the full answer. I experienced Mexico as a country full of contrasts. When reading about Mexico, I mainly read about violence, migration and drugs. Whilst social inequality, and protests about disappeared students were not far away, as a tourist I mainly experienced the warmth of the people, the beauty of their country, and also some pride about their enjoyable things (and about high happiness levels, too!). 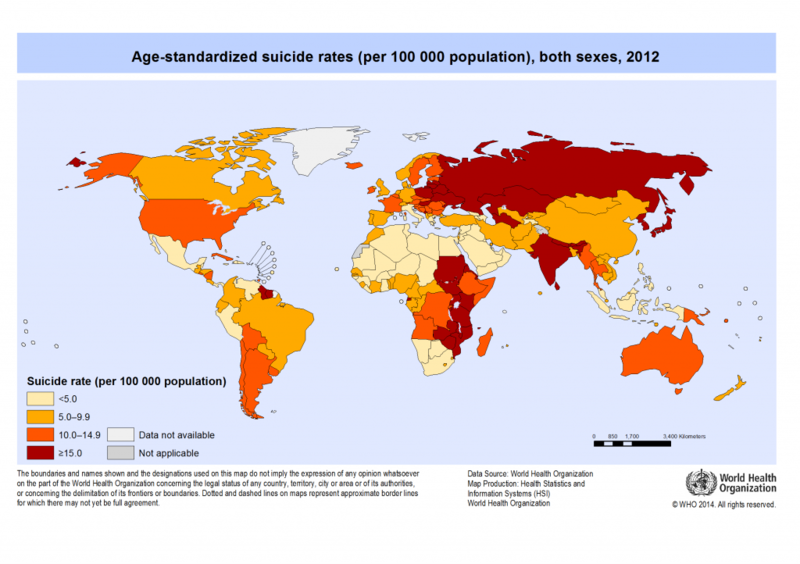 Maybe the surprisingly high happiness levels is just another contrast. During my time in high school, I was not the most social person in class. I didn’t really fit in with the two camps at my school. At the one side, you had the popular kids. They played (field) hockey, wore shirts with their collars, smoke and drank, and dated each other. On the other side, you had the alternative kids. They played in bands, dyed their hair yellow or green, smoke and drank, and dated each other. I took my own course, alone, or interacting with the other pupils who where a bit in between the camps. I kept in my comfort zone, and if it wasn’t necessary, didn’t speak to people I didn’t know. But that was high school. Let me tell you about an encounter I recently had. I was sitting at a bar with some friends as a girl approached us and asked whether she could join us. She had had a bad day. At the bar, to a bunch of strangers she just met – us – F. told the story of her life. F. had a bruise in her face. She had been hit by her boyfriend. They had spent a long time together, but recently he had turned violent. F. knew she had to leave him. At the same time, she wasn’t sure whether she was a ready to end it. There was a lot that connected her to him; the fight had broken her spirit but not her heart. A punch in the face is painful, but love can hurt even more. On the outside, she had a good life. She only worked a bit for fun and personal interest. Otherwise, she was taken care off . Her lifestyle was rich, with frequent trips throughout Europe and money available for shopping sprees anytime she desired. In her early thirties, F. still enjoyed her life, going to crazy parties and doing whatever she wanted. Her friends looked up to her, admired her. And she couldn’t take it any longer. F.’s life, I think, had become artificial. It had to be changed. It was a tense conversation, and an important encounter for her as well as for me. As I wrote above, in my days of high school I wasn’t very open to people. Now, I realised that I was able to engage in a deep conversation about all important parts of life with a person I met some minutes before. I gave her some advice, and I hope it helped her a bit. But it also helped me to reflect about myself and about human interaction. Here in Brussels I regularly meet people only for a short time, and still have extremely interesting conversations. Initially, I used to think that these meetings are useless. I used to think that if a good level of contact is achieved, a seed of friendship should be made flourish. But I am starting to change my mind about this. Friendship is a great thing, but there is also a beauty and a value in ephemeral encounters. One nice chat for an evening, and than life goes on, each with their own friends, dreams and hopes. There are two ways I could finish this story. One is by referring to a Dutch poem, Aan Rika by Piet Paaltjens from the 19th century. It’s about a guy who sees a girl for a split second, when the train she’s riding is passing his. He gets dragged away by the moment immediately, and fantasises about both of them being destroyed by the colliding trains. But this is not a story of love or destruction. 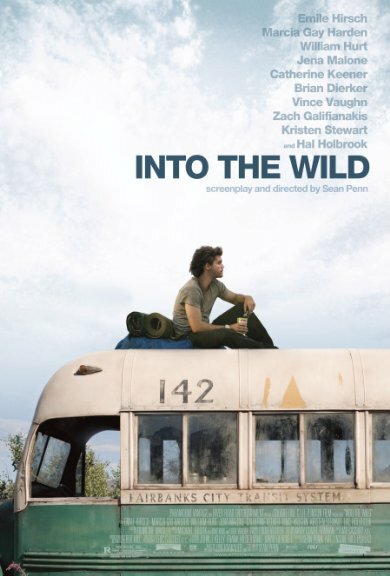 The appropriate end to this story is a different one: the movie Into the Wild. The hero of the film, Alexander Supertramp, travels to Alaska alone to live a life of isolation, close to the nature he loves so much. The trip has moments of reflection, beauty and sincere happiness, I think. However, at the end of the film, Alexander realises an important lesson: happiness is only real when shared with others. Regardless how happy you are with yourself and your own life, it’s other people who make life truly worthwhile. Whoever they are.